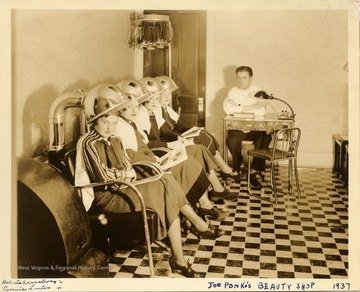 Four young women posing with hair dryers in Joe Ponka's Beauty Shop, Morgantown. 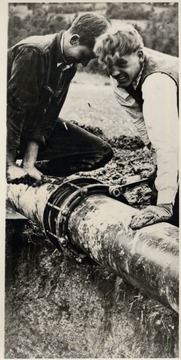 Roberta Armstrong is second from left; Connie Linton is fourth from left. 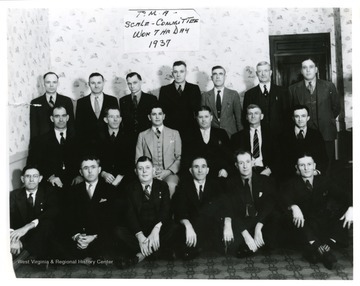 A group portrait of the Progressive Mine Workers' Scale Committee that won the rights for a seven hour working day in 1937. 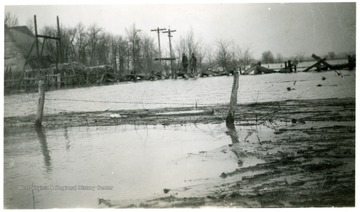 A flooded load yard at Muddy, Ill.
9. 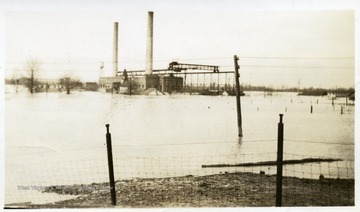 Flooded Central Illinois Public Service Company Power Plant, Muddy, Ill. 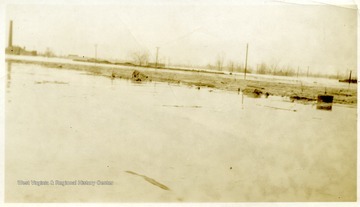 Flooded Central Illinois Public Service Company Power Plant, Muddy, Ill.
10. 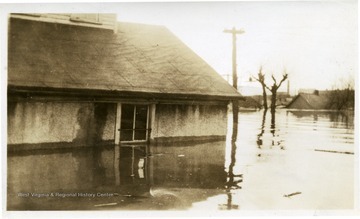 Flooded Supply House and Barn of the Sahara Coal Company, Harrisburg, Ill. 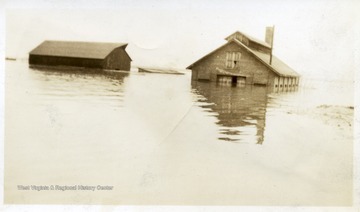 Flooded Supply House and Barn of the Sahara Coal Company, Harrisburg, Ill.
11. 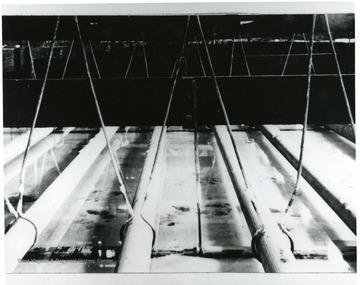 Sandbags Provide Flood Protection for Air Shaft at No. 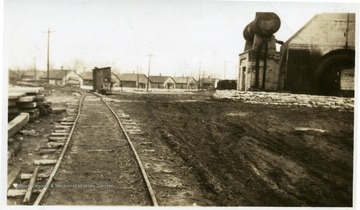 12, Harrisburg, Ill.
Sandbags Provide Flood Protection for Air Shaft at No. 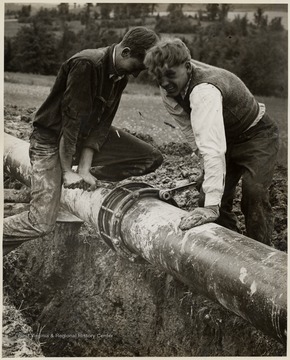 12, Harrisburg, Ill.
12. Flood Waters Reach the Second Story Window of Winding Room, Sahara Coal Company, Harrisburg, Ill. 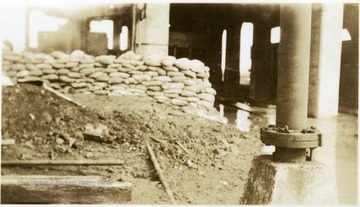 Flood Waters Reach the Second Story Window of Winding Room, Sahara Coal Company, Harrisburg, Ill.